"A*STAR has built a testbed for digital twins, the virtual counterparts of real manufacturing equipment. These factory innovations could help companies save huge amounts of time and money by predicting and adjusting for their partner machine's condition on the go." 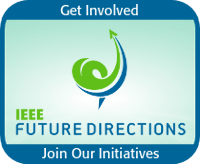 In our first IEEE Talks Digital Reality Q&A session, we spoke with Raj Tiwari, lead co-chair of the IEEE Digital Reality Initiative. Raj provided his insights on Extended Reality (XR) and its potential for changing how we live, work, learn and share, providing information on use cases for the technology and highlighting its importance for both enterprises and individuals as we move into a new transformational era. "Today the technology to create the visual component of these virtual-reality (VR) experiences is well on its way to becoming widely accessible and affordable. But to work powerfully, virtual reality needs to be about more than visuals. Unless what you are hearing convincingly matches the visuals, the virtual experience breaks apart."